We enjoy taking the kids for strolls around our neighborhood now and then after dinner. It is a time to talk, discover nature, and bond as a family. Each season brings new delights for the senses. Spring brings the colors and perfume of flowers in bloom, summer sees fruit growing on trees, fall blankets the sidewalks in a rainbow of leaves, and in winter our boots crunch over the packed snow. Though we can find much beauty on our little urban hikes, there is a downside. I am referring to seeing litter everywhere. 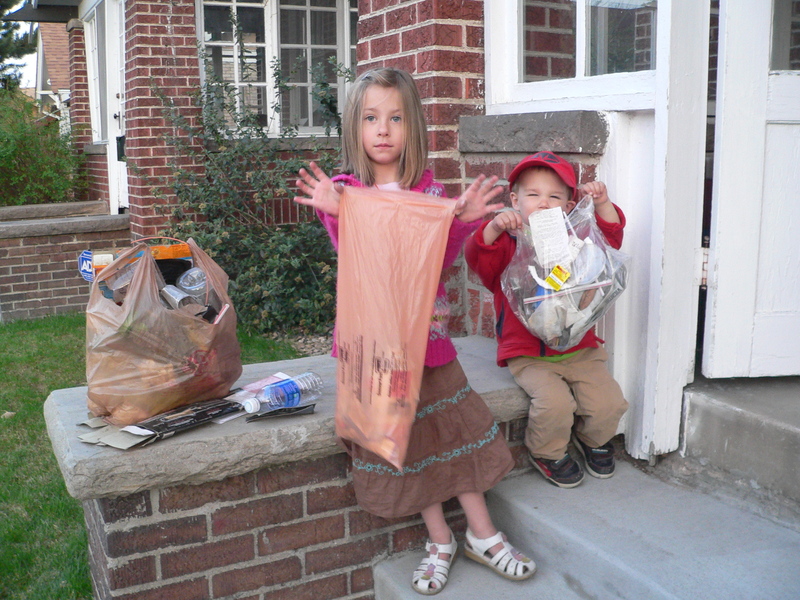 We’ve turned some of our evening walks into opportunities to clean up our block. 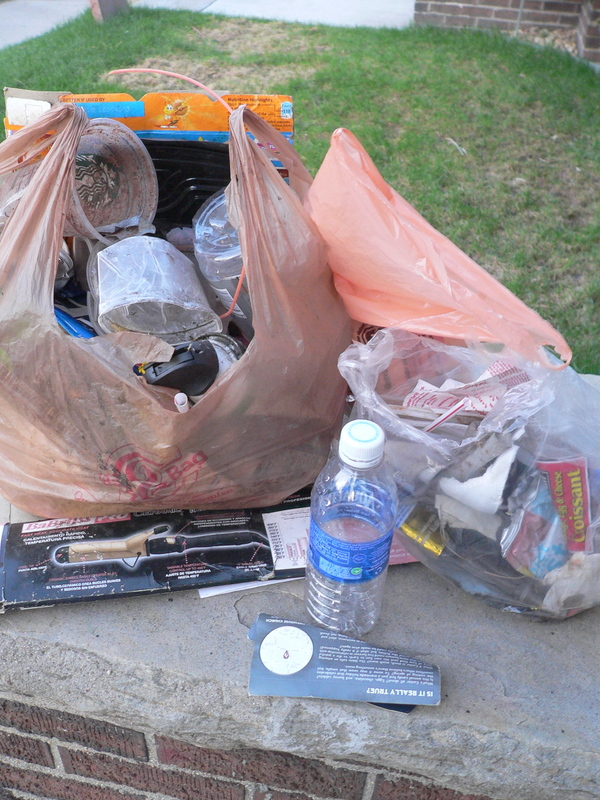 It amazes me how quickly we fill bags with trash. The kids are eager to help and, in doing so, have gained an awareness about the responsibility we all have to take care of our environment. We don’t always have the forethought to bring trash bags on our walks (and honestly don’t have many to bring), but it has become a habit for us to at least notice trash when we see it. Praising a gained awareness for litter may sound insignificant, but I believe too many people have become so used to seeing discarded bottles and cigarette butts on the ground that it no longer seems out-of-place to them. Imagine if one family a week cleaned up their block. Not only would that beautify our neighborhoods, but it would be a wonderful teaching opportunity for our children.